As the usage of smartphones with Internet has rapidly increased in the past few years, the business organizations have also shifted their focus towards the digital medium by seeking help of the best mobile app development firm to create a mobile app for their business. With the increasing amount of companies introducing their mobile apps for their customers, it gives rise to the level of competition to the opponents. In order to stay firm on your position and even get ahead of your competitors, it is best for you to create a mobile app for your own organization. From the last few years, people are more attracted to their phones as compared to their family member. Such drastic change gives a clear image of the importance of Mobile apps for business. As majority of the population is hooked on their phones, it gives the companies an opportunity to seek their attention within their mobile. 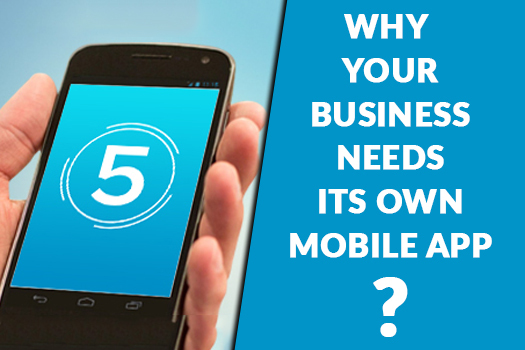 Mobile apps for business make it easier for a customer to navigate through your website without searching for you separately on the Internet. Installing your business app in his phone, a user can easily get all your business-related information in one click. Being on the home screen of the phone forever, a mobile app can be used whenever the user want. In addition, it gives the user a chance of feeling a personal connection to the brand as the user can easily give his feedback on something related to your business without going through the efforts of searching for your official website on the Internet and clicking various pages to get to the Feedback page. Everybody keeps their mobile phones way closer to themselves as it is probably the last thing they want to lose. Due to this, the mobile apps become very useful as it gives various notifications to the user about the latest deals, offers, updates and more without giving the customers the stress of keeping in touch with the company for each and every small need. Having a mobile app can provide your business with the opportunity to garner more recognition from the public as the customers will be happy to install your business app instead of browsing the website on the Internet.In addition, if your mobile app is very creative and appealing by design and features, more people will opt for your mobile app instead of your counterparts. All those people who keep various categories of business apps in their phone, tend to stick to those apps forever. They will choose one of the best app, install the same and use it for as much as they want until they get into a personal dissatisfaction situation or feel like they have no more use of such an app in their phone. To make sure that your business is also up to the modern-day terms, then find one of the top mobile app companies that can help elevate your business by creating a well-responsive and attractive mobile app.